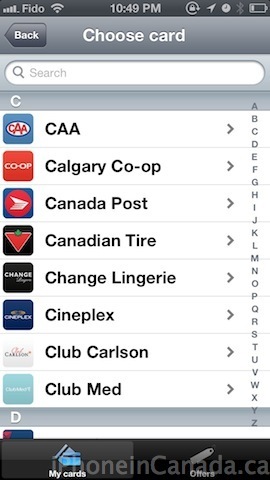 Stocard was updated this past weekend to bring support for Canada, which means Canadians can now digitize their loyal cards and coupons and have them show up in an easy repository on your phone, essentially rivalling Apple’s Passbook. If you are a loyal card hoarder, Stocard aims to lighten up your wallet big time. 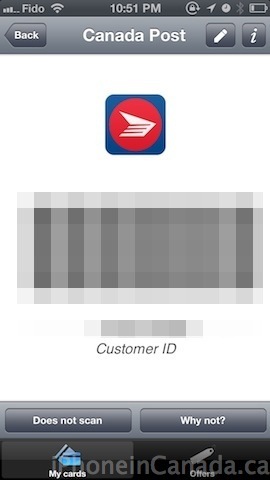 We did quick test of Stocard with my Canada Post Venture one card and it’s easy to setup and use. Right from the bat you select Canada and also have an option to enable support for hotels and various airlines. 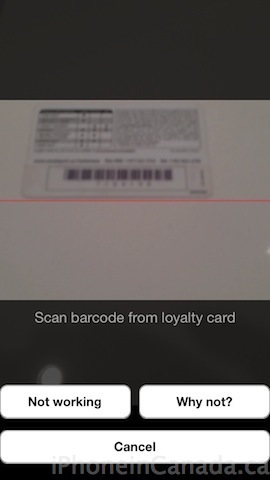 To add a card, you just scan the barcode on the back of your card with your iPhone’s camera and you’ll be able to quickly customize its details. 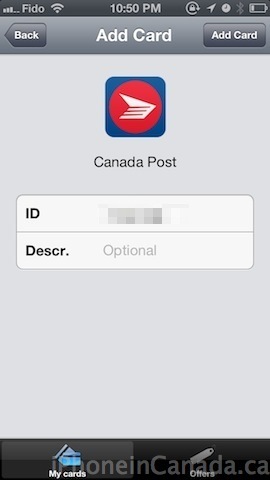 Once you visit your favourite store, load up your card and have the cashier scan your iPhone’s screen. Some older scanners might not be able to read smartphone displays so you’ll need cashiers to manually enter in your card number. There are over 200 preset loyalty cards and you can also add cards that are not listed by selecting “other card” at the top of the merchant directory. Popular Canadian loyalty cards supported from our quick scan of the list include Aeroplan, Air Miles, Best Buy, Canadian Tire, Cineplex, Esso, Hudson’s Bay, and more. There are currently over 1 million Stocard users in Europe and Australia and now Canadians get to join in on the fun. Stocard is currently the fourth ranked app under Top Free Apps in Canada in just under a week. Click here to download Stocard–it’s free. Let us know how you like this app!